In celebration of Mother’s Day on Sunday, we would like to give a shout-out to some of our favorite literary moms. With the exception of children’s literature, where every mother is warm, loving and always has time to give hugs, mothers with any serious roles in adult literature are surprisingly few and far between. But here are a few of the ones we’ve loved the most. My own favorite literary mother is Olive Kitteridge in Olive Kitteridge by Elizabeth Stout. Olive is a deeply lonely retired high school math teacher whose blunt speech and impatience verging on rudeness, has offended many who really don’t understand what the reader sees, that her gruff exterior hides a lifetime of longing and hopes. She wants only the best for her family, friends and former students, but just doesn’t quite know how to go about helping anyone. When I asked my Facebook friends who were their favorite mothers in literature, by far the most popular response was Molly Weasley from J. K. Rowling’s Harry Potter series. Mrs. Weasley, hard-charging mother of a large brood of red-heads, always manages to stay one step ahead of her children, including the lively, trickster twins, George and Fred. She saves money by recycling school uniforms and gives each of them a “unique” hand-knit sweater every Christmas to their great chagrin. Yet all her children, including frequent houseguest Harry Potter, know very well just how much she loves them. Other literary mothers we have loved include Bernadette Fox in Where’d You Go, Bernadette by Maria Semple. Bernadette has a snarky attitude and serious issues–agoraphobia for one—but her story of fierce love and devotion to her daughter, told with wickedly dark humor, makes her a mother to celebrate. Laurie Barber, Jacob’s mother in Defending Jacob by William Landay, finds herself re-thinking everything she had done as a mother when her fourteen year old son is accused of murder. Was it her fault that he turned out this way or was he just going through a normal stage? Any mother who’s had a teenager can relate to Laurie’s anguish. Lastly, Ma in Jean Kwok’s Girl in Translation is a model of devotion and sacrifice on behalf of her daughter. Kimberley Chang and her mother, who is still recovering from TB, immigrate from Hong Kong, sponsored by her aunt who then proceeds to place them in a filthy apartment, give her a menial job and take advantage of them at every turn. Ma works as hard as she can so her daughter might have a better life in America, just as so many unsung immigrant mothers continue to do today. 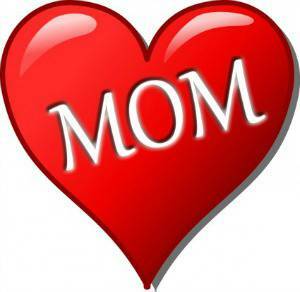 Be sure to remember your favorite Mother, real or imaginary, today and thank her for all she has done for you. May I add a favorite of mine? I love Taylor Greer, who becomes such a fiercely loving adoptive mother in Barbara Kingsolver’s The Bean Trees and its sequel, Pigs in Heaven. Ah, yes! I had forgotten about her. Great addition. Thanks! !